Copper repiping will increase the water pressure and provides assurance that the water will pour from your faucets clean and clear. 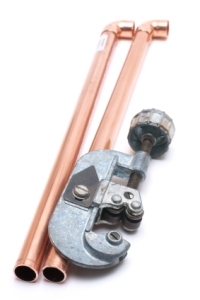 There are two types of copperpipes used when changing your water lines; we only use copper type (L), the stronger of the two, which will add to the life of the system. When My Plumbing Doctor comes to your home to replace your water, drain or gas pipes you can be sure we will use quality materials with workman who know exactly how to give you the best quality job at the best possible price.